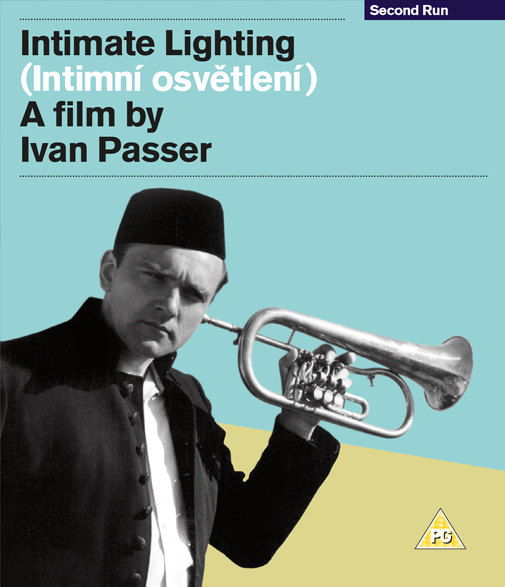 Passer never got the chance to make another film like Intimate Lighting, his only completed Czech feature. Who knows if he could ever have matched its unique balance of loose instinct and judicious balance? The commercial marketplace doesn’t leap at the opportunity to bankroll movies where very little actually happens, and the prevailing tone is a bittersweet rumination on the quiet desperation of everyday lives, though it seems almost equally unlikely that a film like this emerged from a Communist state. That it did though, might in part be ascribed to some more relaxed elements within the bureaucracy, but can also be tied to the cunning of Passer, Forman and their collaborators in concocting a way of film-making purposely conceived to slip under the radar. In so doing, they created a striking blend of fictional and documentary elements which still sings with a kind of truthfulness that never dates. Friends since they met at the King George boarding school (founded by the wife of boy scouts originator Baden-Powell! ), Passer and the slightly older Forman followed a similar pathway to the Czech film school known as FAMU. As for all film students, the transition to making films in the real world was a tricky one, and within the proviso that all scripts had to be approved by the authorities, Passer and Forman wrote down a plan to help them essentially beat the system. They would make comedies, because the Communists were more forgiving of comedies than dramas. They would shoot on location, because the bosses were more likely to be looking over their shoulders if they were in the studio. They would use non-actors, because they were worried that seasoned professionals would not respect them. And they would use natural light, since they didn’t want the more polished look of the authorised social realist offerings they were desperately trying to avoid. ‘It was very similar to the Danish Dogme movement, but years before that,’ Passer has explained. It’s also worth mentioning the influence of Czech novelist and short story writer Bohumil Hrabal. A lawyer who spent a lot of time in drinking dens eavesdropping on the conversations around him, his work gave Passer and his filmmaking friends the confidence that believable everyday characters and amusing anecdotal incidents could hold the interest without the need for a clever plot to tie everything together. In the early 1960s, Hrabal, not a party member, couldn’t get published and his writing was passed around in samizdat form, so various filmmakers began putting together a portmanteau project which would effectively legitimise Hrabal’s writing. 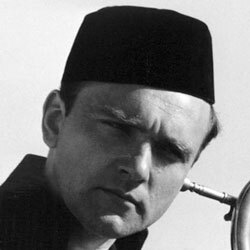 Sundry Czech New Wave luminaries, including Věra Chytilová (Daisies/Sedmikrásky), Jan Němec (Diamonds of the Night/Démanty noci) and Jaromil Jireš (The Joke/Žert) all made contributions, and the film Pearls of the Deep (Perličky na dně) finally emerged in 1965. Passer’s Hrabal-based short A Boring Afternoon (Fádní odpoledne) was originally intended to be included in that multi-part feature, but was deemed strong enough to stand by itself – eventually winning the Grand Prix at the Locarno Film Festival, much to the surprise of its maker, who didn’t know it was entered. Hrabal’s fortunes improved too, since he was eventually published officially, and Jiri Menzel’s adaptation of his novella Closely Observed Trains (Ostře sledované vlaky) became one of the most lauded Czech features of its decade, winning the Best Foreign Film Oscar in 1967, two years after Jan Kadar’s The Shop on the High Street (Obchod na korze) achieved the same feat. © 2005 - 2010 Second Run. All Rights Reserved.